Premadasa’s death was greeted with silence rather than grief. There were reports of UNP agents trying to foment communal violence. This was communicated to the foreign embassies and soon afterwards the new president, D.B. Wijetunge, sent individual letters to UNP organisers telling them that he expects them to ensure that nothing untoward happens in their area. The main virtue of the new president was that having played his role as Premadasa’s passive prime minister, he had no stomach for the intrigues and exertion required by the intricate institution of the presidency built up by Jayewardene and Premadasa. Wijetunge dismantled some of the more questionable aspects of what he had inherited. One was the private intelligence network set up by Premadasa using retired, mainly Tamil, police officers. In key appointments too he usually went by seniority rather than push up favourites out of turn. In July 1993, Frank de Silva succeeded Ernest Perera as inspector general of police. In December 1993, Cecil Waidyaratne resigned as army commander after a botched up operation in Jaffna and heavy loss of life and equipment when the LTTE attacked Pooneryn camp in November. Despite pressures to appoint a Buddhist, Wijetunge appointed Gerry de Silva, a Christian, as army commander. Many closely connected with the Army view this as the time when things started to change for the better in the Army after more than ten years of political intrigue and corruption. Although far from being an enlightened man (as suggested by his statement about minorities being creepers about the majority), Wijetunge created the conditions for the cleanest elections this country had witnessed since 1977. The People’s Alliance comprising the SLFP, LSSP, CP and SLMC came to power after winning the parliamentary elections in August 1994 and the presidential election in the November following, with Chandrika Kumaratunge obtaining 62.3% of the votes cast. A notable feature of the Wijetunge period was a dismantling of the cloak-and-dagger features of Premadasa’s legacy. Hardly had anyone dared to criticise Premadasa while he lived. It was also a sign of how much internal party democracy had suffered under the monarchical presidential system. 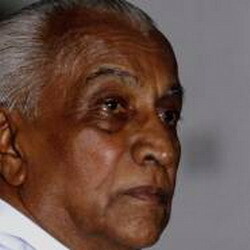 The group that was closer to Jayewardene and was eclipsed under Premadasa reasserted itself. Mrs. Premadasa who wanted the Party’s support to carry forward her late husband’s vision was roundly snubbed. Sirisena Cooray, although remaining a minister, began fading away and gave up the secretaryship of the UNP. More interestingly, Anura Bandaranaike finally made his long overdue entry into the UNP. This could not have happened under Premadasa who ridiculed the Bandaranaikes. Even more remarkable was Gamini Dissanayake abandoning the newly formed DUNF and rejoining the UNP. Following the general election, he displaced Ranil Wickremasinghe and became leader of the opposition, and then the UNP’s presidential candidate. He was assassinated while addressing an election rally in Colombo North on 24th October 1994. The woman LTTE suicide bomber took down with her G.M. Premachandra and Ossie Abeygoonesekere along with several dozens of others. The LTTE, it is thought, feared that Dissanayake’s election victory would give new life to the Indo-Lanka Accord. A welcome feature of the presidential election campaign was that both leading candidates, Mrs. Kumaratunge and Dissanayake, were in close agreement about resolving the ethnic issue along federal lines. Dissanayake, like his peers who played the chauvinist card, was now prepared to swallow hard realities. He discovered that to consolidate power, he needed a more pragmatic approach on the Tamil issue. The chauvinist lobby was effectively silenced. If the LTTE wanted to resolve the issue, it could have framed its political demands and easily pressed for a solution in its favour. Instead, while the South was talking of peace, it was using its suicide cadre to pursue a different agenda. The first was the use of a suicide sea tiger to sink a naval vessel off Mannar in September ’94, and then came Dissanayake’s assassination in October. A cease-fire came into force after Kumaratunge’s election during which the LTTE declined to discuss political proposals, and then ended the cease-fire in April 1995 by again using suicide divers to sink two naval vessels berthed in Trincomalee. The LTTE was determined to keep the chauvinist lobby in the South alive.